It was the day of April 12, 1818 Brigadier General Munro captured the Belgaum fort and placed it under the Military Command of Madras. Some books refer to the date as even April 10. On 20th March 1818, Gen Munro surrounded the Belgaum Fort with the British Army troops who marched from Madras. Much blood has been split on its strong rampart walls. Munro could not pierce these walls for 22 days from 20th March 1818 to 12th April 1818, and had to lay a siege to the Fort. The Belgaum fort built in 13 century (Originally built by the Ratta dynasty, later fortified by Yakub Ali Khan of the Bijapur Sultanate) was well known for its unique building structure and its huge moat surrounding the fort, which made it inaccessible to the enemies. 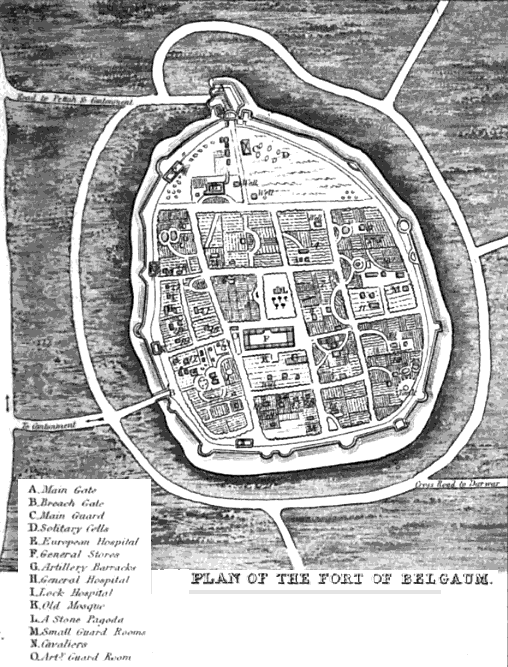 The Belgaum fort served as a bulwark against the attacks of invading armies. It steadfastly held fort as Belgaum played host to a multitude of dynasties, from the Rattas, the Vijayanagar emperors, Bijapur Sultans, Marathas and finally the British. During the freedom movement of India, Mahatma Gandhi was imprisoned here. The inside of the fort is stretched about 1000 yards long and 800 yards broad. 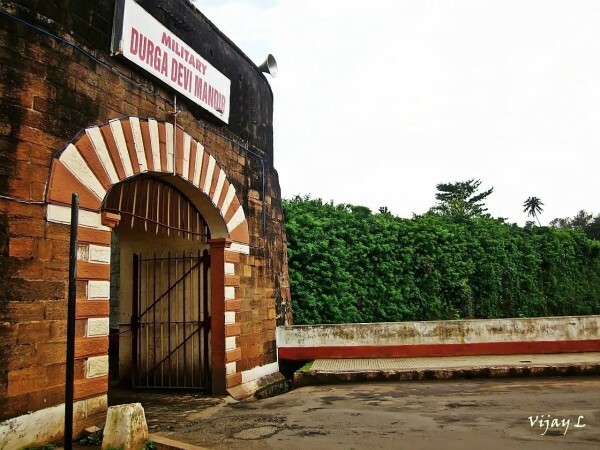 The fort was well built as a Military store. With Herculean effort the British constructed breach batteries of heavy artillery and only after almost three weeks of constant bombardment, after which the fort was severely damaged, did its killedar surrender. The fall of Belgaum allowed Munro to resume his campaign. In 1818, Gen. Munro British Officer took over the fort & built houses inside the Fort for Residence of Army Officers. One year after the battle of Kirhee, the English, under General Munro, marched against it. He encamped near Shahpur, on the morning of March 11th, 1818, with a comparatively insignificant force of native soldiers, and three troops of His Majesty’s twenty-second Light Dragoons, a force so weak that it tended to confirm the garrison, and the inhabitants of Belgaum and Shahpur (who had a high opinion of the strength of the fort), in the belief that it could not be taken. The English were unable to obtain accurate intelligence as to the state of the ditch, which was the great defense of the place; otherwise the attack would not have been made from the points selected. On the fifteenth, the fort was invested, but nothing particular occurred until the twentieth, when the force marched to the north of the fort, and encamped about two miles and a half from it. On the twenty-second, the first battery opened on the defences, and on the following day the pioneers broke ground, and began opening trenches. On the thirty-first, the magazine belonging to one of the batteries, in which there was a considerable amount of ammunition, blew up. The garrison took immediate advantage of this misfortune, and making a sally, succeeded in passing over the battery, but was immediately repulsed. During the following days such steady progress was made by the English that on or about April 9th, the Kiledar (acting governor) sent out a flag of truce to propose terms, but General Munro did not accept them. Next day all the batteries kept up a heavy fire on the fort, and the breach, though not exactly practicable, began to have a more favorable appearance, in consequence of which the Kiledar found himself under the necessity of accepting the condition offered by General Munro, which was that he should give up possession of the gateway, the garrison being allowed to march out with their arms and private property. By the capture of the fort, General Munro obtained possession of thirty-six guns of large calibre, sixty smaller guns, and numerous wall pieces, besides stores of every sort. Book titled on ” Memoirs of the operations of the British Army in India during The Mahratta War of 1817, 1818, and 1819″, Valentine Blacker, London, 1821. Additional research required. It would be better if you come out with a story covering the attrocities carried out by the British and Muslim invadiors in Belgaum. If the history is written by British then definitely they would have mentioned the name of the Killedar. Please mention the name of brave Killedar who fought bravely. Any idea when and for which movement Gandhiji was imprisoned here?